Wrestling is a term which is derived from the Old English word “wræstlunge“. Wrestling is a combat sport involving grappling techniques such as clinch fighting, throws, takedowns and other grappling techniques. There are a varied range of styles present in most cultures and civilisations of the world. Wrestling techniques are often incorporated into other martial arts and military hand-to-hand combat systems. It the past wrestling took place either in the sand, on a field or in an arena. These days wrestling competitions take place in a sporting gymnasium or stadiums if they are larger competitions. Wrestling is also an Olympic sport and is very popular in Eastern Europe, Central Asia and North America. Westlers usually train in a gymnastic on vinyl mats or synthetic mats. They are usually roll-out wrestling mats which are easy to install and remove. Some wrestlers train on EVA Wrestling mats as well. The USD was heavily sold in Thursdays session after the Feds meeting giving the AUD its biggest one day rise in over 2 years, this now seems like a massive over reaction and a correction taking he USD back to the top of the currency pile has seen the AUD/USD fall 200 points from its peak. Iron ore prices continue to weigh in on the commodity driven unit after failing to rebound off its weakest level since early 2009. The Australian share market also looks set to open up weaker this morning following falls on wall street where energy stocks fell as well as the price of oil. Whilst the falling Australian dollar has impacted on EVA jigsaw mats pricing, Ezymats still offer the most competitively priced jigsaw mats. AUD lost 0.5% across the board yesterday ahead of the Unemployment Rate and Employment Change releases at 11:30 this morning. It traded slightly higher yesterday after Westpac Consumer Sentiment surprisingly jumped from 2.4% to 8% and Home Loans increase by the most since November 2013. It headed lower overnight as overseas investors anticipated a 0.1% increase in the Unemployment Rate to 6.2%. The number of employed people is also forecast to drop after three consecutive months of gains. The price of our jigsaw mats are still holding steady. The recent fall in the dollar has not impact pricing for jigsaw mats at Ezymats. Ezymats still continues to be the best and cheapest supplier in Australia and the Southern Hemisphere. Our next shipment of 20mm EVA interlocking jigsaw gym mats is scheduled to be delivered this week. We have been out of stock for a couple of weeks only but nonetheless there is a backlog of customers waiting for mats. The shipment is for 1100 EVA jigsaw mats and they are sure to go fast. Book your 20mm interlocking EVA jigsaw gym mats today to ensure you are not disappointed. Ezymats are the leading supplier of EVA interlocking jigsaw mats in the Australian market. 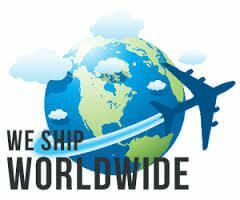 Ezymats ship mats Australia-wide. The ASX bucked the trend yesterday following an onslaught in the US and UK stock markets in the previous session. The ASX 200 along with the Philippines Stock Exchange PSEi Index were the only indices in the Asia-Pacific region to close in the green yesterday, with the ASX 200 closing 0.18% up at 5,254.89. US stocks and WTI Crude erased earlier losses off the back of some good US economic data. What also added weight to this rebound was that a Fed Reserve official said that the Fed should consider delaying the finish of their stimulus package considering the fundamental outlook and current market sentiment. Treasuries fell off the back of those comments and during the trading session, whilst WTI Crude Oil fell below the US$80 a barrel mark for the first time since June 2012 before rebounding. European Stocks had an initial sell off, but ended the session slightly down, with the FTSE down 0.25% to 6,195.91 and the EURO STOXX50 down 0.62% to close at 2,874.65. Gold was little unchanged on the day closing at 1,239.04 USD/t oz. The price of EVA interlocking jigsaw gym mats is expected to rise in the short-term. The cost of 30mm and 40mm jigsaw mats will remain stable due to remaining stock level from previous shipment. The cost of 20mm EVA interlocking jigsaw mats will need to rise as the new shipment was ordered during the new AUD pricing regime. Ezymats will always endeavour to remain the most competitive supplier of EVA interlocking jigsaw mats in the market. Ezymats has reported that their 20mm EVA interlocking jigsaw mats have sold out fast. “Despite bringing in a 40′ container only last month our great price and growing reputation has lead to us running out fast” Ezy mats CEO Roko. Other sizes like 30mm and 40mm are still in stock but running out fast. There is a new shipment scheduled to leave our China factory around the 10th of October which should be here by the end of October. Customer’s can pre-book their 20mm EVA interlocking jigsaw mats to ensure they don’t miss out on stock. The Australian dollar traded steadily on Friday, after sustaining sharp losses a day earlier. The RBA lowered its forecast for GDP of 2-3% in the year through June 2015, down from 2.25-3.25% in the May projection. The RBA added that the unemployment rate was likely to “remain elevated for some time”. The RBA statement also took note of the high value of the Australian dollar, which has gained about 6% since February. Our latest shipment of EVA jigsaw interlocking gym mats is selling super fast. We have 20mm mats, 30mm mats, and 40mm jigsaw mats, all of which have proven popular with our customers. The mats start from a low price of $15.00 per square meter which is the lowest on the market. The mats are blue and red and come with edging on all four sides. Share markets from Asia to the US slumped last week on the back of credit risk aversion and disappointing earnings. The Dow Jones lost its YTD gains in one session and the S&P 500 shed 2.3% in recording its worst week since 2012. The ASX dropped 1.36% on Friday to close at 5556 after hitting a 6 year high earlier on in the week. UK and European shares lost ground in the wake of a lower than forecast manufacturing data reading from China. Gold rose by 0.9% on Friday to close at $1294/oz after a disappointing jobs report from the US. More on that in the USD section below. Oil saw its biggest weekly drop in seven months after the refinery utilisation rate dropped for the first time in 5 weeks. WTI finish 0.3% lower at $97.88/bbl. The AUD lost close to 1% last week as economic data was softer than expected, disappointing investors after a largely positive previous week. Building Approvals dropped 5%m/m and the Producer Price Index fell 0.1%, just the second negative reading in four and a half years. This lower than expected inflation gauge opens the way for a further rate cut should Glenn Stevens deem it necessary. Retail Sales data released today ahead of the RBA meeting tomorrow should provide some interesting reading. The price of EVA jigsaw rubber gym mats is stable. Ezymats is still the market leader both in Australia and globally though their China office. US stocks rose over the weekend, the S&P500 rising 0.30% higher to 1,936.15. The equities benchmark nearly erased its gains in the final hour of trading amidst potential uncertainty surrounding the conflict in Iraq. Islamist fighters in Iraq extended their advance, highlighting a risk to oil supply from the OPEC region and raising fears of another gulf war brewing. Australian shares fell 0.44% on Friday, the biggest drop since the start of February following from the insurgent attacks in Iraq. This geopolitical risk added pressure to weakening spot price of iron ore and coal with the exception being energy and gold stocks which benefited from the tensions. The spot price for gold strengthened 1.50% to $US1272.15 per ounce and the spot price for oil surged above $US114 per barrel for the first time in 9 months. The Australian dollar is at seven month high despite geopolitical fears in Iraq. Over the past week it has been emerging as a “safe haven”. Australian dollar opened slightly lower today, pushed down by profit taking and lowering iron ore price. The dollar may see some downward pressure with the Federal Reserve policy meeting this week. 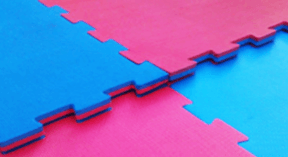 The price of EVA foam jigsaw interlocking rubber gym mats remains stable. Ezymats is a leading supplier in Australia.